What the North Korean “Crisis” is Really About. Pretext to Nuke Both Russia and China? The North Korean “crisis” is a Washington orchestration. North Korea was last at war 1950-53. N. Korea has not attacked or invaded anyone in 64 years. 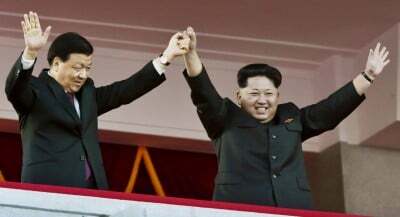 N. Korea lacks the military strength to attack any country, such as South Korea and Japan, that is protected by the US. Moreover, China would not permit N. Korea to start a war. So what is the demonization of N. Korea by the presstitutes and Trump administration about? It is about the same thing that the demonization of Iran was about. The “Iranian threat” was an orchestration that was used as cover to put US anti-ballistic missile bases on Russia’s borders. An anti-ballistic missile (ABM) is intended to intercept and destroy nuclear-armed ICBMs (intercontinental ballistic missiles) and prevent them from reaching their targets. Washington claimed that the anti-ABM bases were not directed at Russia, but were for the protection of Europe against Iran’s nuclear ICBMs. Insouciant Americans might have believed this, but the Russians surely did not as Iran has neither ICBMs nor nuclear weapons. The Russian government has made it clear that Russia understands the US bases are directed at preventing a Russian retalliation against a Washington first strike. The Chinese government also is not stupid. The Chinese leadership understands that the reason for the N. Korean “crisis” is to provide cover for Washington to put anti-ballistic missile sites near China’s border. In other words, Washington is creating a shield against nuclear retaliation from both Russia and China from a US nuclear first strike against both countries. China has been more forceful in its reply to Washington’s efforts than have the Russians. China has demanded an immediate halt to the US deployment of missiles in South Korea. In order to keep Americans confused, Washington now calls anti-ABMs THAAD, Terminal High Altitude Area Defense. China understands that THAAD has nothing whatsoever to do with N. Korea, which borders S. Korea, making it pointless for N. Korea to attack S. Korea with ICBMs. 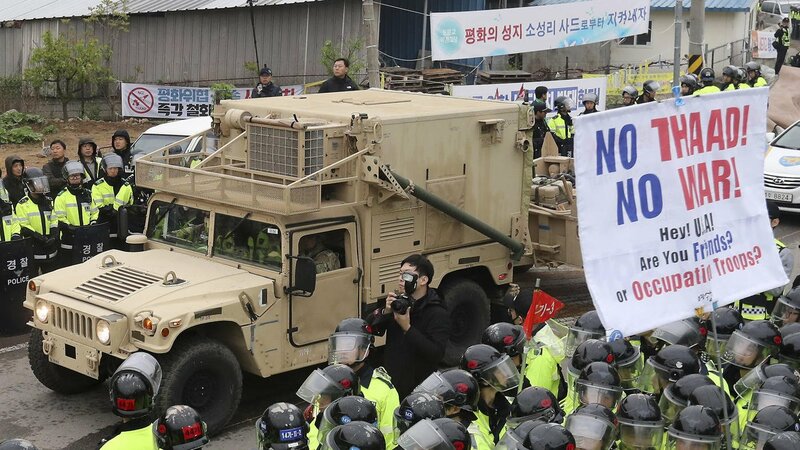 THAAD in S. Korea is directed against China’s retaliatory forces. It is part of Washington’s preparations to nuke both Russia and China with minimal consequence to the US, although Europe would certainly be completely destroyed as THAAD or anti-ABMs are useless against Russian nuclear cruise missiles and the Russian air force. But no Empire has ever cared about the fate of its vassals, and Washington is uninterested in Europe’s fate. Washington is interested only in its hegemony over the world. The question is: now that Russia and China understand that Washington is preparing for a preemptive nuclear strike against them in order to remove the two constraints on Washington’s unilateral behavior, will the two countries sit there and wait for the strike? As the readers of my website are a self-selected group of intelligent and concerned people who want to know what is the reality as opposed to what is The Matrix, I was somewhat taken aback when several wrote to me that they disagreed with me that Washington planned to nuke Russia and China. I write clearly; yet here were several readers who mistook my report on the conclusion of the Russian general staff for my opinion! I was also amazed that the readers thought that it mattered what they think or what I think. All that matters is what the Russian and Chinese leadership think. I then looked at the comment sections on other sites that repost my columns, and there were the trolls hired by the CIA, Mossad, National Endowment for Democracy, George Soros, NATO, US State Department, and others denouncing me for promoting nuclear war. Of course, it is Washington that is promoting nuclear war, and it is Washington that has convinced Russia and China that a preemptive nuclear strike is in their future. Washington, being full of hubris, thinks that this will scare Russia and China and that the two governments will submit to Washington. Possibly they will, but I would not bet the life of the planet on it. It is conceiveable that education in the US and throughout the Western world is so poorly done that readers educated in recent decades simply cannot comprehend what they are reading. How else to explain the mischaracterizations of my report on the conclusion of the Russian General Staff? The only other explanation is that websites that have comment sections provide the opportunity for the ruling elites to hire the slander of truth-tellers. I seldom see an intelligent comment on websites that have comment sections. Most comments come from people too ashamed to speak in their real names and who are unwilling to provide their real email addresses. Almost all comments come from narcissistic ignorant fools hiding behind fake names and fake email addresses and from paid trolls. I don’t write in order to be slandered by paid trolls and ignorant narcissistic fools. I regard it as highly irresponsible for websites to undercut their writers with anonymous accusations from no one knows who. There should be no comment sections unless there is a firm check on the commentator’s real name and real email address. Sites that do not have this requirement no longer have my permission to repost my columns. Washington, as the Russian and Chinese governments comprehend, has placed life on earth under dire threat. This is serious business. There is no space for ignorant narcissistic idiots and paid trolls to be using the Internet to attack the few who truthfully report the dire threat that all life faces from Washington’s drive for world hegemony.